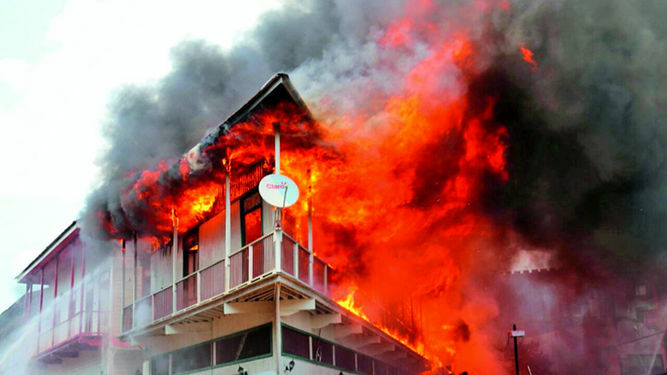 Individuals and institutions public and private are coming together for those left homeless and having lost their material possessions in the February 21 burning of San Felipe’s historic Boyaca Building. 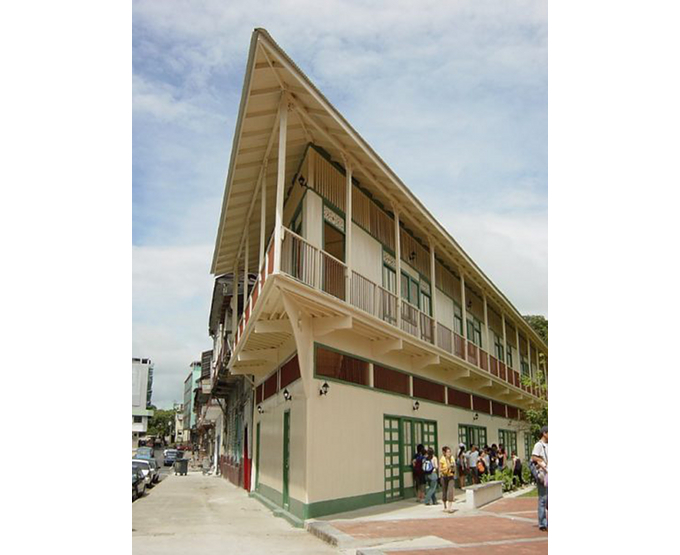 This historic wooden structure had been rebuilt with help from Spain’s Andalusia region, providing housing to folks of modest means and part of the Casco Viejo’s cultural scene. To one side of Plaza Herrera, is was between the remnant of the colonial city’s wall and the old Conservatorio that’s now home to the Danilo Pérez Foundation. Several people living in the building before the fire had relationships with the foundation and, thanks to some help from the mayor’s office and its connections, three students at the foundation had their destroyed musical instruments replaced. How the fire started is being investigated. It began in an upstairs room. Photo by MIVIOT. The subject of rebuilding or replacing is not yet decided, and may bring out some of the gentrification versus affordable housing and historic preservation versus maximum profitability issues that have played out in the neighborhood for years. Temporary emergency housing has been arranged for the nearly three dozen families who were routed by the fire, which completely destroyed the Boyaca building and damaged two other buildings up the street. Collections began immediately for food and clothing, but now the effort is for bringing a longer-term bit of normality back into the lives of those who lost their homes. 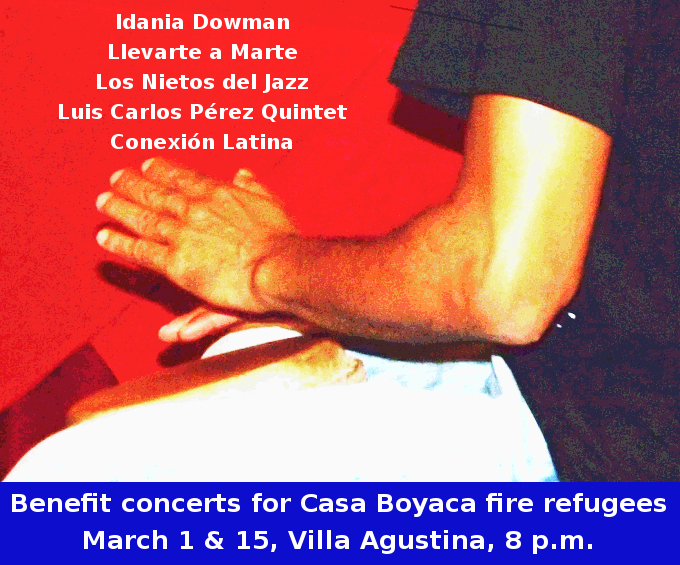 Thus a couple of benefit concerts are being put on by local musicians, many of whom have their connections with the Danilo Pérez Foundation. The venue is at nearby Villa Agustina, just off of Plaza Herrera. The two dates are March 1 and March 15, both shows at 8 p.m. The parties are likely to go on into the night, as the announced performers are probably not going to be the only ones. So far the lineups include Conexión Latina, the Luis Carlos Pérez Quintet, Los Nietos de Jazz, Llevarte a Marte and Idania Dowman. If you miss the show will you have missed a surprise appearance by an internationally renowned act? Perhaps. In any case, those are local all stars of Panama’s worthy scene. 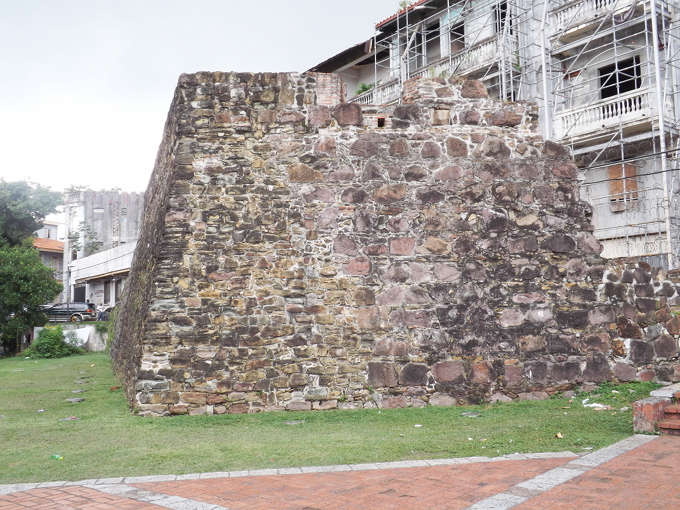 Just behind where the Boyaca building once stood is a remnant of the Casco Viejo’s colonial fortifications. Any rumor that those who parked in front of fire hydrants and impeded the bomberos will be lined against this wall and shot are exaggerations, but those folks are major villains of the moment. Photo by Eric Jackson. Panama’s architectural loss. Photo by MIVIOT.